Nirenstein, Horowitz & Associates provides comprehensive help and support to Stamford residents who are making plans for their future. As a full service elder law and estate planning law firm, we provide the assistance that you need to create an estate plan to establish your legacy, to make plans for incapacity, to prepare for retirement and to protect your assets. We help individuals and families of all ages and we will work closely with you to make sure you have the right legal documents in place and have made effective use of legal tools to secure your future. Stamford is a Connecticut City which had a population of more than 122,000 as of the most recent census. Stamford is located within Fairfield County, Connecticut and is very close to Manhattan. It is just about 50 miles from Manhattan, which makes it a popular place for commuters to live, and it is considered to be a part of the greater New York Metropolitan area. Stamford has a thriving economy in its own right, as four Fortune 500 Companies call Stamford their home. There are also nine Fortune 100 Companies headquartered in Stamford along with 13 Courant 100 Companies. Many other large corporations do not have headquarters there, but do have divisions located within the Stamford area. Stamford is known for being the largest financial district in New York outside of New York City, and it also has one of the largest concentrations in the country of large corporations. In Stamford, Connecticut, 13.1 percent of the population was aged 65 or older as of the most recent census. Older residents of Stamford may need to take advantage of community programs to enhance their quality of life, and to help them to continue living independently in their own homes rather than moving to an assisted living facility or another type of dedicated care setting. KnowHowtoGo: This service provides you with transportation to and from medical offices. There is a shuttle that runs from Monday through Friday between 9:00 am and 2:00 pm. Seniors can get free transportation but contributions are encouraged in order to help support the system. Transportation is available to veterans’ seniors, and people who have disabilities. Stamford Senior Center: The Stamford Senior Center is a 501(c)(3) nonprofit organization whose stated mission is to “provide affordable opportunities for older adults in the greater Stamford area to be active and healthy in mind and body and remain connected to their community in a welcoming, safe and diverse environment.” There are a number of programs and activities that Stamford seniors can take advantage of, and there are more than 800 members and 150 older adults who participate in daily programs and events including exercise classes, language classes, and expert speakers. Sometimes, it may become necessary for seniors to get long term care at home or to take advantage of other services, such as adult daycare, which may not be provided on a free or low-cost basis by the community. Nirenstein, Horowitz & Associates can help seniors to explore what types of government benefits they may be eligible for through Medicaid or, if applicable, through the Veterans’ Administration. The goal is to help ensure you are able to get the help and support you need as you age. If your loved one passes away or if a family member or friend becomes incapacitated and needs a guardian or conservator appointed, it will become necessary to go to probate court. If you live in Stamford, you’ll be going to the Fairfield County, Connecticut probate court. These resources will help you to be prepared for court proceedings, whether you are the executor of an estate, one of the potential heirs or beneficiaries, someone who wishes to contest a will, or a concerned family member seeking to become a guardian or conservator of someone who is incapacitated. The Connecticut Probate Court website: On this website, you can look up cases and find out about fees and expenses associated with the probate process in Connecticut. You can find out about court locations, including for the probate court in Stamford, Connecticut. You can also obtain forms you’ll need for probate, check regulations that are applicable to your situation, and discover details about assistance that has been made available for the disabled. 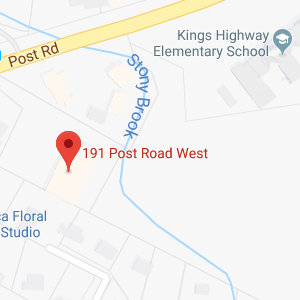 The Stamford, Connecticut probate court, which is located at 888 Washington Boulevard, Stamford, CT, 06901 and which you can reach via telephone at 203-323-2149. Nirenstein, Horowitz & Associates will represent you during probate court proceedings and help you to ensure that the probate process goes as smoothly as possible. We can also provide help to those who are making an estate plan to make sure their families do not need to go to probate court in the event of incapacity or after a death. We can help you take steps to prepare for what will happen if someone needs to act on your own behalf because you can no longer act on your own and can provide assistance using tools such as trusts so assets can pass outside of the probate process. 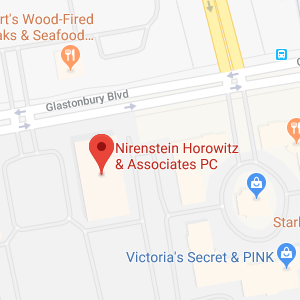 A Stamford elder law attorney at Nirenstein, Horowitz & Associates will provide the help and support that you need as you plan for your future. Whether you are looking forward to retirement and want to make sure you will have the income you need or you are preparing for what will happen to you and your loved ones if you get sick or pass away, we have the answers you need and can provide the support required to make a plan that is right for you. To find out more about how a Stamford elder law attorney at our firm can help you, join us for a free seminar. You can also give us a call at 860-548-1000 or contact us online to get personalized one-on-one advice with all of your estate planning or elder law needs.